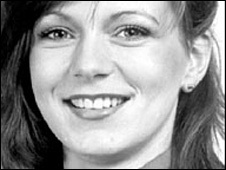 Police believe it is unlikely that serial killer Steve Wright murdered missing estate agent Suzy Lamplugh. Wright, 50, of Ipswich, was found guilty in February of murdering five prostitutes in Suffolk in 2006. Detectives looked into his possible involvement in Miss Lamplugh's disappearance but said it was "not a strong line of inquiry". Miss Lamplugh was 25 when she disappeared in 1986 after showing a client around a house in London. Her body has never been found but in 1994 she was declared dead, presumed murdered. Following Wright's conviction, detectives investigating Miss Lamplugh's disappearance asked to see the prosecution files. But a Metropolitan Police spokesman said on Wednesday: "This is not a strong line of inquiry." Wright knew Miss Lamplugh when they both worked on the QE2 cruise ship in the 1980s. Wright was handed a whole life sentence following his conviction but has since applied for permission to appeal.